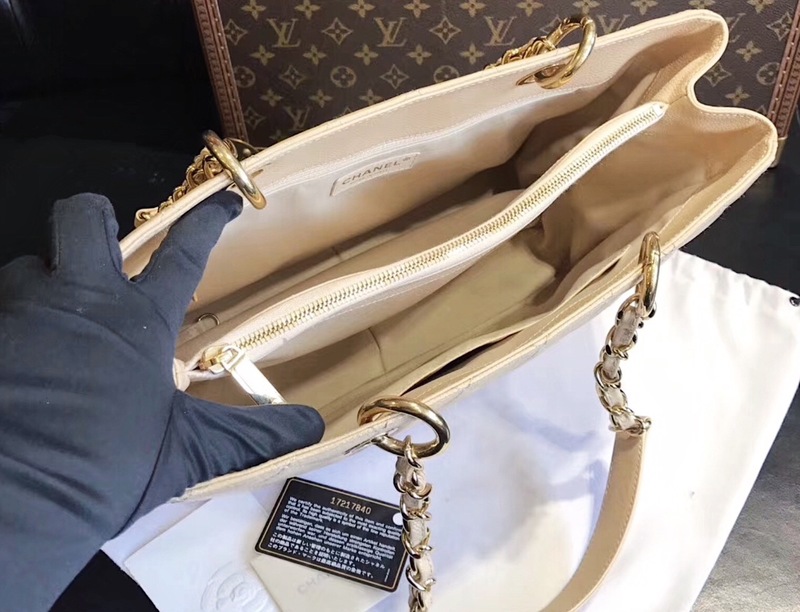 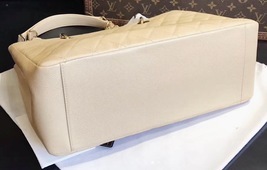 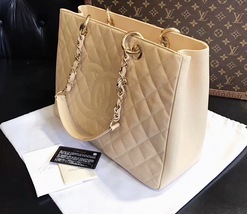 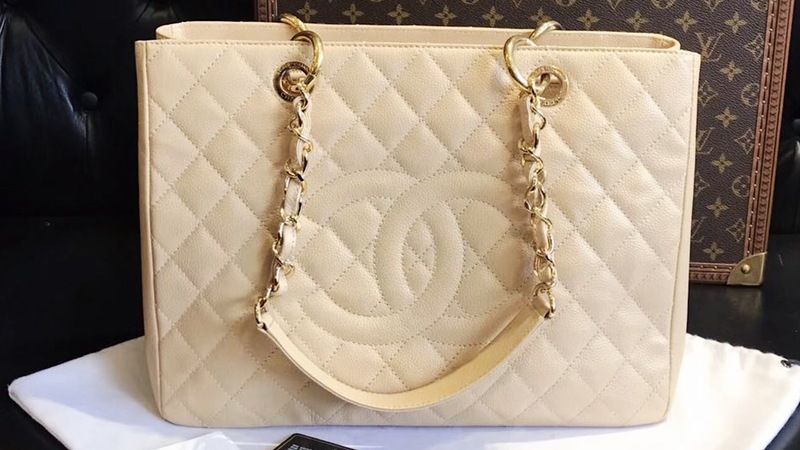 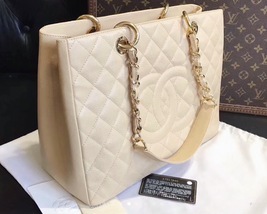 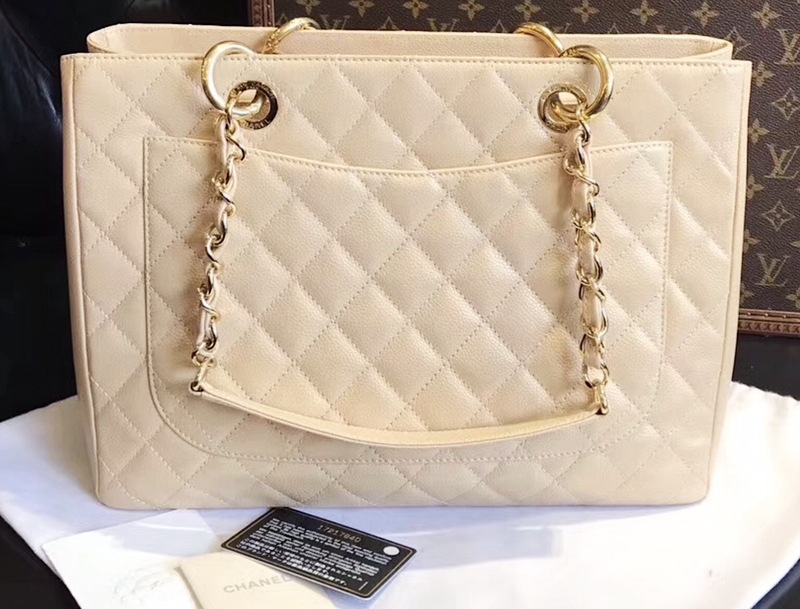 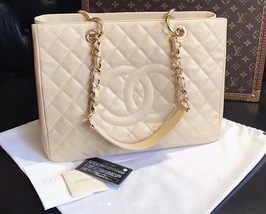 Up for sale is an ULTRA RARE AND ABSOLUTELY STUNNING AUTHENTIC CHANEL BEIGE QUILTED CAVIAR GST GRAND SHOPPING TOTE BAG WITH GOLDTONE HARDWARE!!! 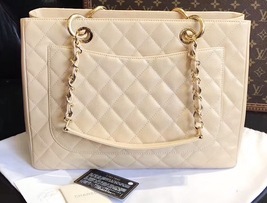 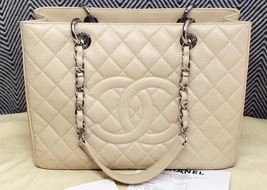 This chic and durable Chanel Beige Quilted Caviar Leather Grand Shopping Tote Bag will be your new favorite bag. 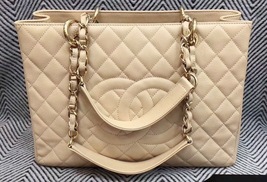 It is part of Chanel's classic caviar collection which continually increases in value. It is made of beautiful quilted caviar leather with a bold CC logo on the front and goldtone hardware. 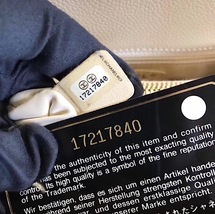 Bag is in NEAR PRISTINE condition with very very minor signs of use. 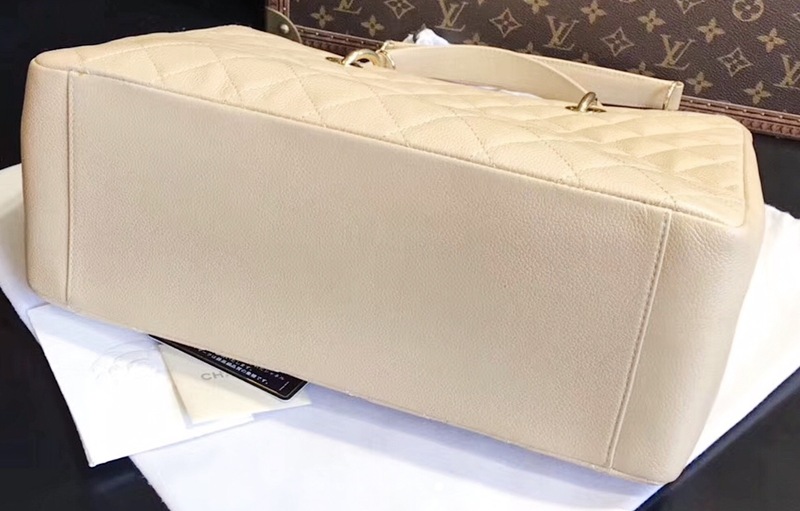 Comes with matching authenticity card. GUARANTEED 100% AUTHENTIC. 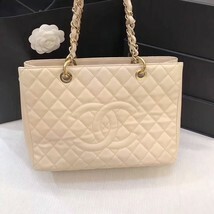 PLEASE PURCHASE WITH CONFIDENCE.